Have you been putting off having your pet’s teeth cleaned? Maybe you’ve been too afraid of the anesthesia risk to get funky teeth pulled? If so, it’s time to do some risk/benefit analysis, because leaving bad teeth in may well be nudging your beloved towards the Big C. Cancer. Here’s what we know: inflammation is quite often, possibly always, linked to cancer. Inflammation, cancer. That’s a known pattern. That’s why you might well recall an earlier injury to the same leg of your Golden Retriever where you’re now seeing a bony swelling that’s just gotten a horrible diagnosis: osteosarcoma. But it turns out inflammation can be “called in” by tumors to enhance their growth, as well. How recent is this knowledge? How about 150 years old? Rudolf Virchow, an early German pathologist countered the “germ theory” of disease, popular in his day and even now. He studied tumors and found white blood cells inside. Cells like this are part of the inflammatory response to intruders. “…cancer biologists and immunologists have begun to realize that the progression from diseased tissue to full-blown invasive cancer often requires cells that normally participate in healing cuts and scrapes to be diverted to the environs of the premalignant tissue, where they are hijacked to become co-conspirators that aid and abet carcinogenesis (development of cancer -Ed). Inflammation, cancer. The former feeds the latter. Remember, you’d be lost without inflammation. It’s designed to help you heal. Cut yourself, get staph from your skin in the wound, inflammation is called in to kill those germs, stop the damage, make a scab, and get you back to normal skin again. 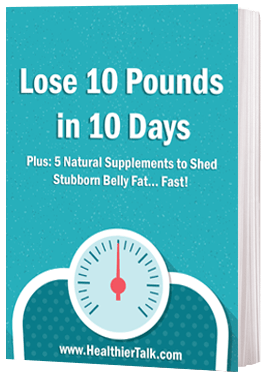 It’s when inflammation becomes chronic that you increase the risk for cancer and other serious diseases. Chronic inflammation includes allergies. That’s what the Apoquel story revolves around. Including the side effect part should give you pause. Chronic inflammation includes arthritis, and the ongoing joint pain that disease brings your animal. And, the object of this post, chronic inflammation includes what happens in the gums when teeth have become diseased but haven’t fallen out yet. 6 question quiz – Does your pet have dental disease? 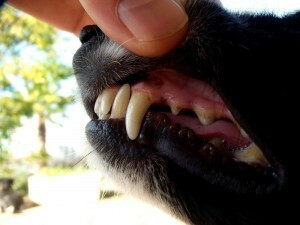 Does your dog or cat have chronic dental disease? That’s a common source of chronic inflammation. Would you like to get an idea at home before you visit your vet? Without opening the mouth (which won’t win you points of trust), raise your pet’s upper lip and pull it back towards the corner of the lips. Do this on both sides of her mouth, first one and then the other. With a thumb and forefinger, do this in the front of her mouth, too. Here, you’ll start losing those trust points again, so save this move for after you’ve examined the sides. See red gums? Not healthy pink ones, but red, inflamed gums? That could be broad swaths of red, angry gums, or, more commonly in cats, a fine red line at the margin of the teeth. How about those teeth? Are they yellow or brown or encrusted with hard stuff instead of smooth and pearly white? Without putting your fingers in, get a general sense of bad breath. You likely know this already, just from being close. Bad breath, red gums, and discolored teeth are all potential indicators that this mouth needs a vet exam and maybe dentistry. Another is dropping food while eating. Or no longer interested in chewing hard foods, like bones. Both can indicate tooth pain, as you can well imagine. Get a pre-anesthetic blood profile and exam. vets like to do this anyway, and it gives valuable information on organ function (those organs of elimination need to be healthy when we give anything potentially toxic, right?). the exam could uncover problems a blood profile wouldn’t, like a heart irregularity or a palpable internal tumor. Most modern clinics use isoflurane or sevoflurane inhalant anesthetics to maintain anesthesia. These are considered quite safe, and because their elimination from the body is via breathing, they don’t intoxicate long term and your animal is awake fairly quickly after the gas is turned off. Weighing the safety of anesthesia, done with appropriate pretesting and protocols vs. the risk of maintaining a mouth riddled with inflammation, the dental work that removes bad teeth and allows thorough cleaning wins every time. A reader asked about her animal getting a root canal recently for a damaged tooth. Having read about concerns in people with root canals years ago, I recommended she opt instead for extraction. Haven’t you met cats and dogs with missing teeth? 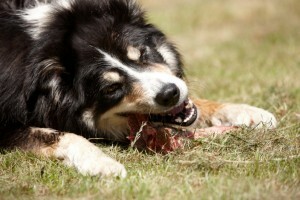 They chew just fine, especially when they are fed real, balanced raw food diets. Many even chew bones, no problem. None of this negates what I’ve written about the tendency for Dr. WhiteCoat to want to clean teeth far too quickly. The best natural “toothbrush” there is a raw bone. Discolored teeth with healthy pink gums and decent breath will be helped by regular raw bone feeding. Just review how here. But what I’m talking about here are loose, painful teeth, red, inflamed gums, and often breath that would stop a train. There’s pathology there, chronic inflammation, and that’s a risk to allow to continue. Tell us about your experience with getting teeth out that needed to come out. Mine has been, post dentistry, these animals really pick up and feel better, eat better, and have much more energy. It’s a bit like pulling a heavy weight off their back. Dr. Will Falconer is a Certified Veterinary Homeopath based in Austin, Texas with a global practice treating all species with the most holistic medicine ever. In addition to homeopathic practice, Dr. Falconer loves to write and teach. 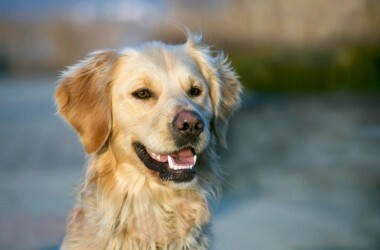 His latest thoughts and useful information can be found on his blog at VitalAnimal.com. He also sends a regular newsletter to his subscribers with helpful tips and homespun advice on raising vital animals. 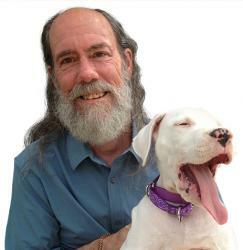 He’s been known to lecture to veterinarians now and again, presenting case reports of animals treated with homeopathy and advice on how to make a simple, successful practice with a simple, powerful medical modality. When he’s not practicing, writing or teaching, he’s off walking in the wilds of Central Texas, taking pictures and awaiting the inspiration that comes from being out in Nature.